A systemic action ARCADE GAME. Out Now FOR Linux, MAC AND WINDOWS! Coming to XBOX ONE, PS4 & Vita late 2018! Sign up to our mailing list for release announcements and other Russian Subway Dogs news! Welcome comrades! 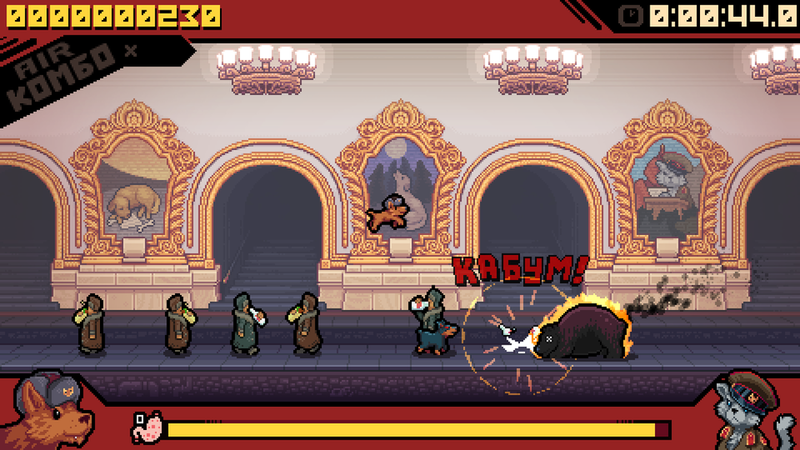 Meet Russian Subway Dogs, a fast-paced systemic-arcade game inspired by the real-life stray dogs of the Moscow Metro. We have done extensive, totally legal research in order to fine-tune this chaotic simulation of what it's like to scavenge for food from Russian commuters. Surviving isn't easy when you are dodging volatile vodka, rival dogs, and the rare and dangerous Subway Bear! 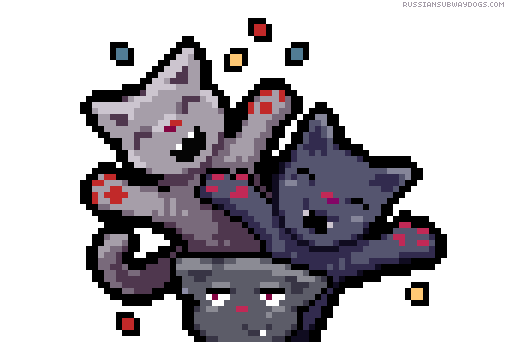 Unlockable Kitties and Guest Pups! 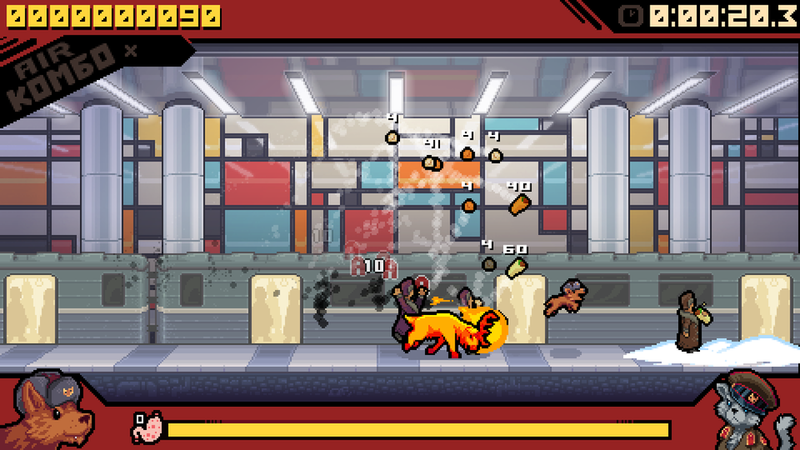 Play as a range of unlockable critters including special guests such as Question Hound from KC Green's Gunshow, Ratcoon from Ruin of the Reckless or Nacho & Rad Shiba from VA-11 HALL-A! More of a cat person? 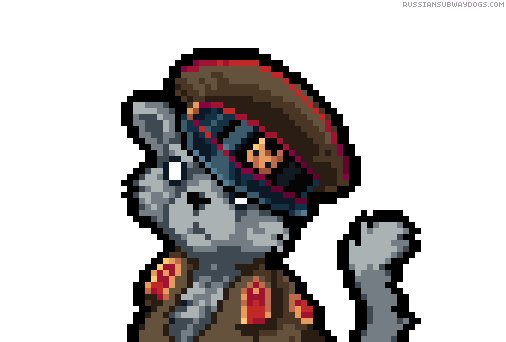 Take on the subways as the Proletaricat or They Bleed Pixels inspired Clawed Kitty! Russian Subway Dogs is simple enough for a puppy to pick up but still packed with challenge. Run and jump along the subway platform. Bark behind people to scare up food and bounce vodka around the stage. 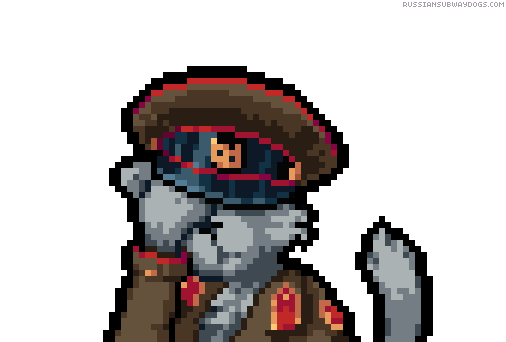 Soon you’ll be discovering high level strategies like cooking and eating rival wildlife with vodka explosions! Will you eat the tasty but toxic chocolate for major points, or feed it to that pesky poodle that keeps stealing your shawarma? Be careful, rival animals can eat and use power ups like hot sauce. Grab them fast or you could be facing down a charging fire elk! It’s up to you to use your knowledge and abilities to stuff your stomach and cause as much chaos as possible! Russian Subway Dogs OST by Peter Chapman aka Coins. Musician Peter Chapman (Guacamelee!, LittleBigPlanet Karting, Modnation Racers, Daft Science) has created a banging original soundtrack packed with Slavic sounds and Baltic beats combined with electronic dance music! You can purchase the original soundtrack and check out Peter’s solo work as COINS on his Bandcamp page. 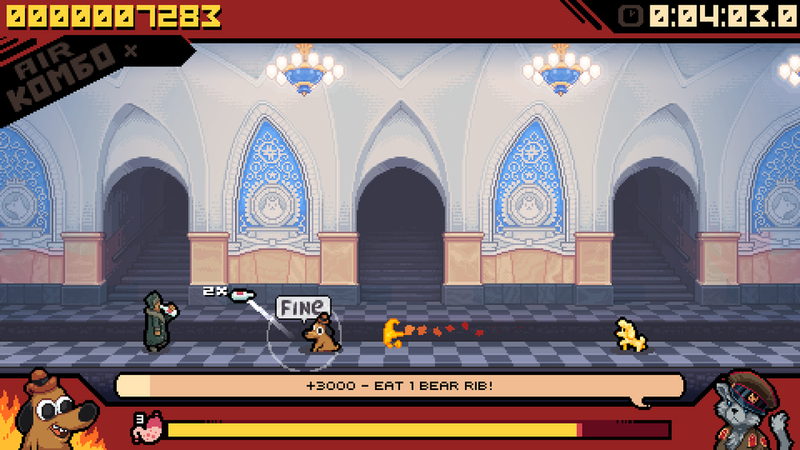 Russian Subway Dogs started as a jam game created for the GDC Pirate Kart. That early rough version was well received with coverage on Indiegames.com as well as several let’s plays in both English and Russian, and was even picked as an official selection for Fantastic Fest’s Fantastic Arcade. As you'd expect from a game created in a single weekend the prototype is extremely rough compared to the final version of the game which was over two years in the making. Everything from graphics to the core physics and frame rate have been massively improved and we've added a huge amount of new content including full campaign mode. Original jam prototype created for the GDC Piratekart. So Primitive! Created in only 2 days this version is only a rough sketch of what we created for the final game, everything from art to physics has been improved since, not to mention loads of new content. Requires Windows XP or better. Supports keyboards and gamepads. Click to enlarge to full size, then right click and select ‘save as’ to save individual images. Alternately, you can download the whole collection in a zip file. What have you added for the commercial release? All-new art with improved animations. New commuter, food and wildlife types including the fearsome Subway Bear! Lavish backgrounds inspired by actual Moscow Metro stations. A deep combo and scoring system full of secret bonuses to discover. Full Steam integration including online leaderboards and achievements. Silky-smooth 60 fps gameplay with pumped up physics. Will there be a DRM Free version? We plan to release a DRM free version (without online features) soon. What about a Switch Release? We'd love to our subway puppers on Switch and are actively looking into it! Comics vs Games + Spooky Squid Games = Crazy Busy Toronto Weekend! Russian Subway Dogs at GDC! All guest characters © their respective owners. The “PS” Family logo, “PlayStation,” “PS4” and “PSVITA” are registered trademarks of Sony Interactive Entertainment Inc.